Reduces chlorine loss to sunlight. For use on outdoor pools only and when Stabilised Chlorine is NOT used to avoid over stabilisation. At the start of the season or when refilling is usually sufficient. Add 500g per 50m3 (11.000 gallons) to raise stabiliser reading by 10ppm. Product should not be used with any Stabilised Chlorine Product. 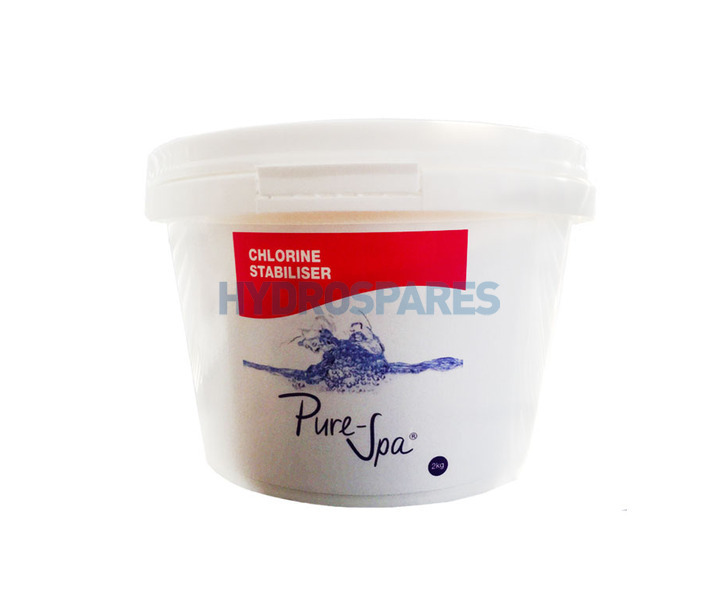 Add Chlorine Stabiliser directly to the pool water with the circulation running. Store a cool, dry place away from other chemicals. do not mix with other chemical. Always wear suitable gloves and eye protection when handling chemicals.